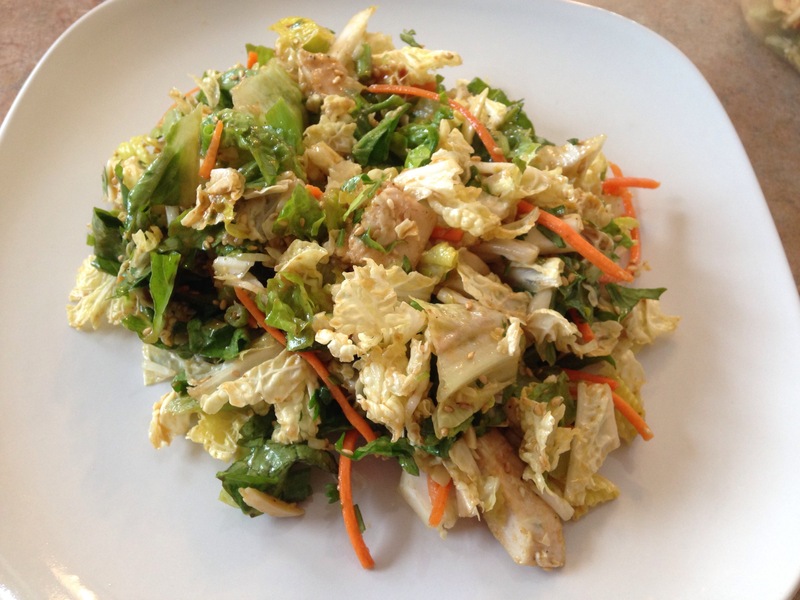 I’ve fallen in love with the Chinese Chicken Salad at California Pizza Kitchen, so I set out to find a recipe that would allow me to come close to this delicious dish at home, and I have to say this is pretty darn good. It lacks the fried wontons that I love on the CPK version, but that just lends it to be even lower in calories, and to be honest, it is delicious without them, so I hardly even missed them. I encourage you to try this one out. I made it “Quick and Easy” By chopping all the veggies and combining in a large ziploc bag the day before. I also went ahead and baked 2 chicken breasts and set them aside. The day I had them for lunch, I just mixed the dressing, chopped the chicken, threw in the sesame seeds and almonds and mixed it all up with the lettuce mix. This was yummy. Editors Note: The dressing is a little on the sweet side, which i don’t mind. 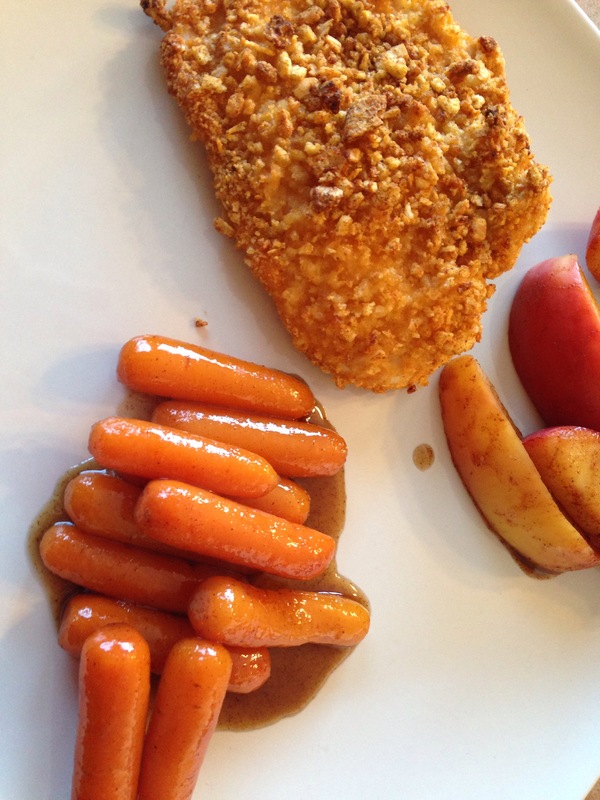 If you like things a little less sweet, go with 2 TBSP Splenda brown sugar and subtract 15 Cal per serving. Prep all your veggies. 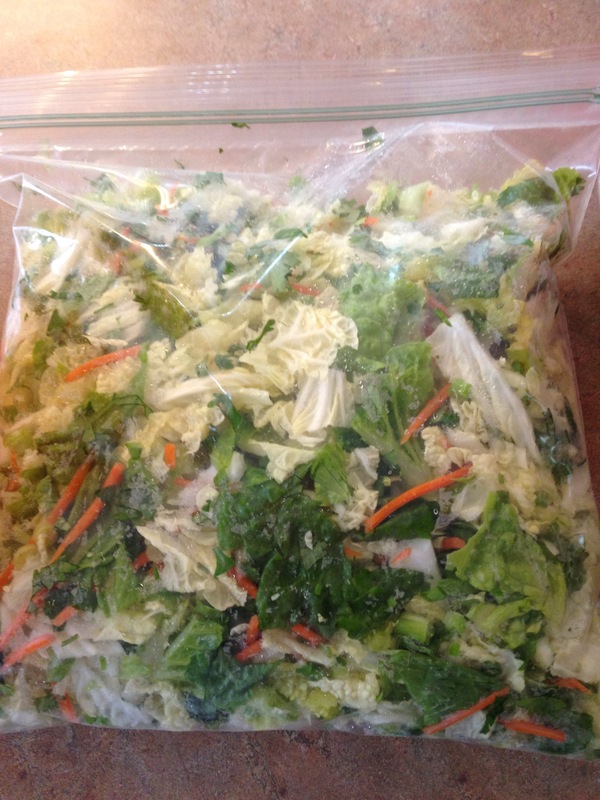 Chop your lettuce, cabbage, scallions, carrots, and cilantro, and mix together. If you do this ahead of time, store in a big sealed ziplock bag in the fridge. Salt and pepper your chicken, and either grill or bake it ahead of time. I don’t like hot chicken on a cold salad, so i give mine plenty of time to cool. Assemble your salad by mixing the lettuce mix with your chicken and adding sesame seeds and almonds. Mix all of the dressing ingredients in a bowl with a wisk until you have a smooth mixture. 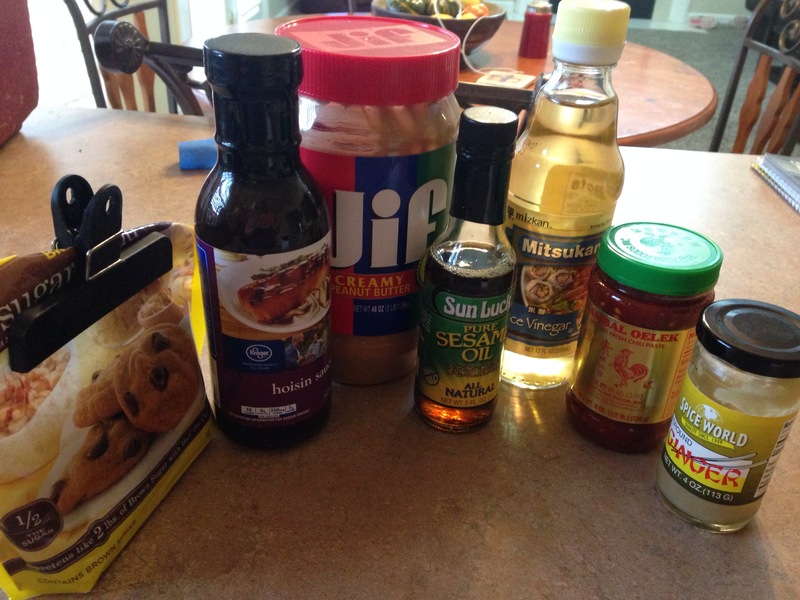 Add Dressing to salad and mix everything together until dressing is evenly coating other ingredients. 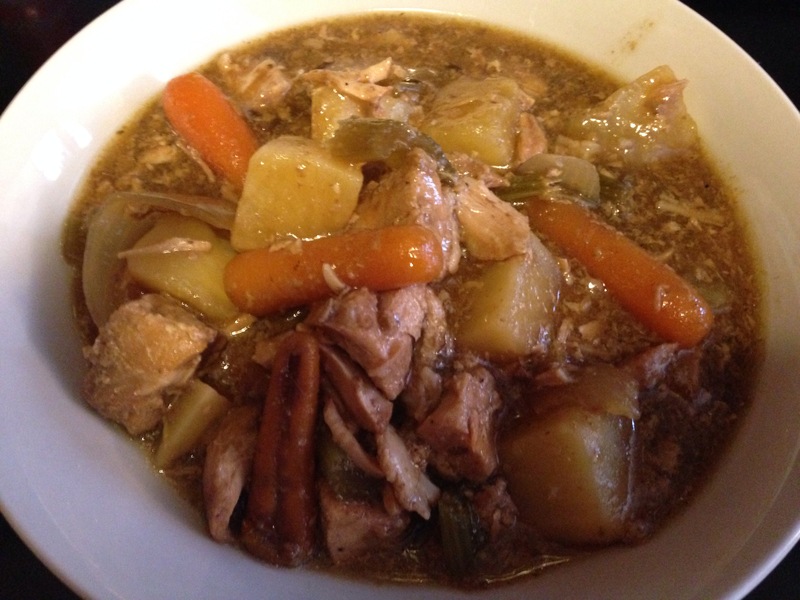 This is a hearty Irish stew made easily in the crock pot. It turned out very filling and delicious, and the calorie count was much lower than I expected. I call this guiness stew because you use a dark beer (like guinness) in the stew. It doesn’t have to be guiness. Any dark beer will do. In fact, the one I used wasn’t actually guinness. 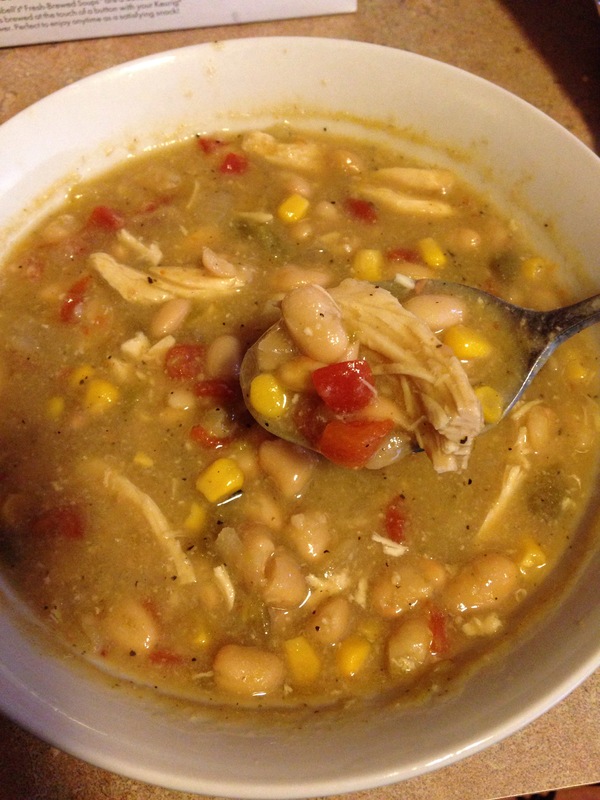 One thing I love about crock pot recipes is how easy they are the day of. For this one, I cut the meat, salt and peppered it and stored it in the crock pot insert in the fridge overnight. I cut the onion/carrot/celery and stored them together in a ziplock bag in the fridge, and measured out all my spices and set them aside. So on the morning that I put this together I just peeled and chopped a potato, and put everything in the crock pot. This made life easy on one of those busy days, and the house smelled fantastic when I got home from work 🙂 One thing… don’t cut the potato the night before… it could oxidize in the fridge which is bad news. 1. Cut your pork loin into cubes, about 1 inch x 1 inch, and place pork in the bottom of crock pot. Salt and pepper the pork to taste. Note: I find cutting the pork is easier if you freeze the meat about halfway first. If the meat is already frozen, thaw it halfway before attempting to cut (I just set a frozen pork loin in the fridge Sunday night, and I prepped this Monday evening to cook Tues morning). 3. 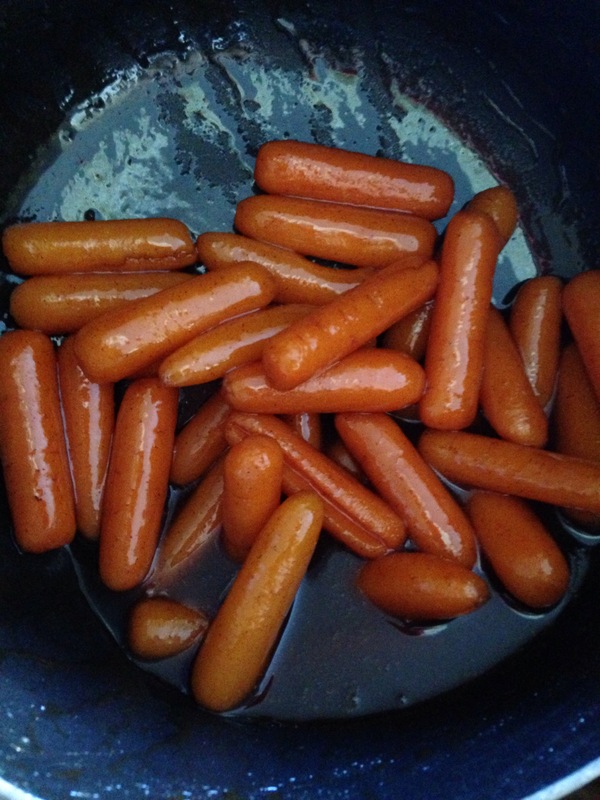 Place carrots, onion and celery on top of potatoes. 4. Mix broth, beer, vinegar, bay leaf, garlic powder, and caraway seeds together and pour over the items in the pot. 5. Cook on low for 10 hours. Don’t open the lid. Seriously. Don’t open it until it’s done. 6. 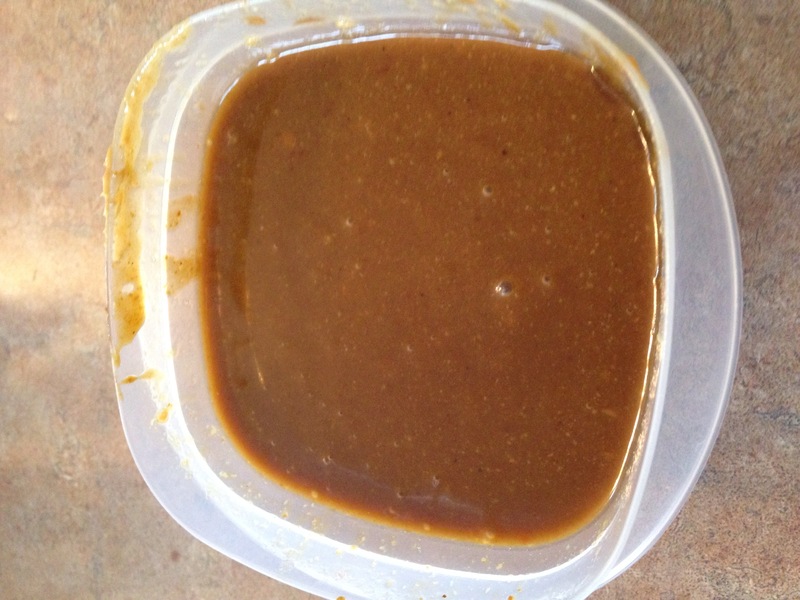 After cooking 10 hours, mix contents with a spoon and remove 1/2 cup of broth. In a small bowl mix 1/2 cup broth with corn starch until a smooth cream is formed. 7. Pour cornstarch mixture into crock pot and stir to mix well with the stew. Turn crock pot up to high and leave uncovered for 10 min, stirring periodically. This will thicken your sauce. Serve with rice, bread, noodles, or as is. Makes 9 1/2 cups of stew. 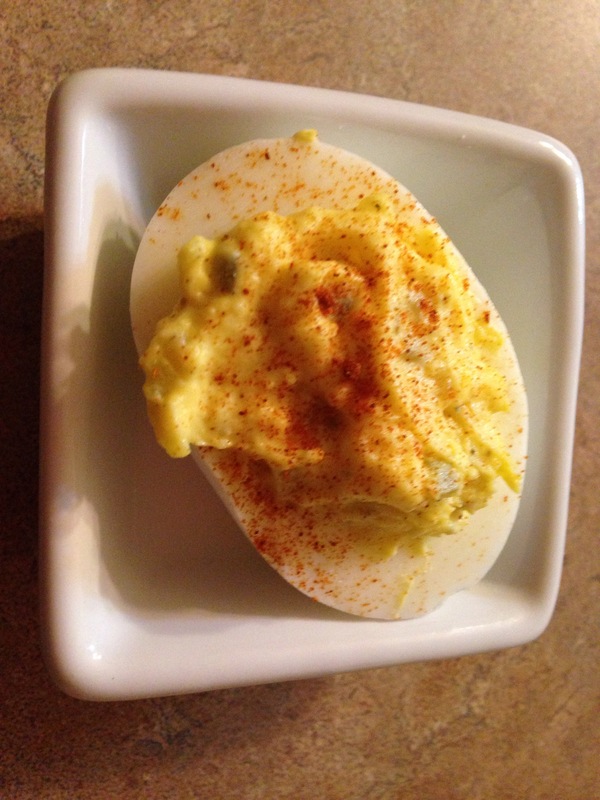 So, there’s not much you can do to a deviled egg to make it lower in calories. And actually, when you look at other side items, even a full fat deviled egg or 2 is not a bad decision when faced with choices at a cookout or party. The one thing you can do to lighten up a deviled egg, is switch regular mayo for a fat free version of either mayo, or miracle whip. The difference in calories is less than 2 calories per serving if you use Kraft brand ff mayo instead of miracle whip. I used miracle whip because I had it on hand (i use it for tuna and sandwiches) however, I actually prefer the Fat Free Mayo for deviled eggs (I like a more savory egg). 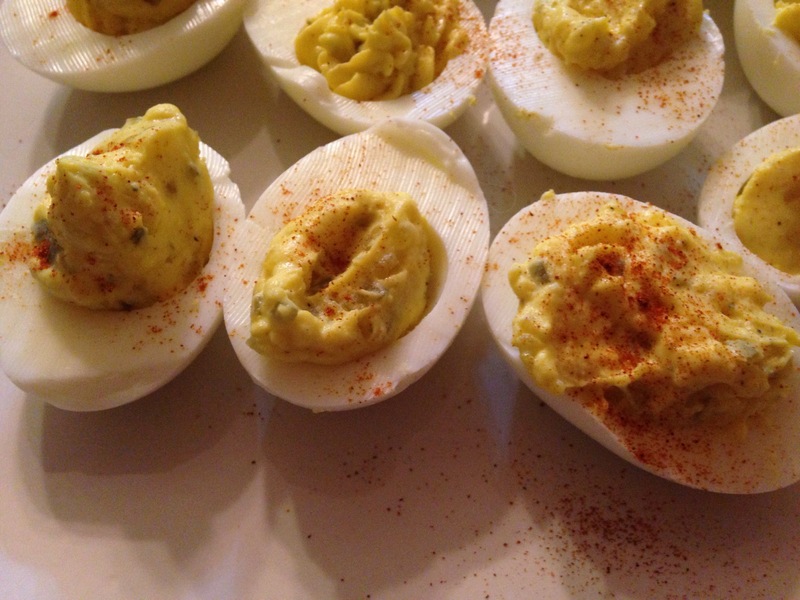 This recipe gives you just the right amount of each ingredient to make yummy deviled eggs. Cut eggs in half, longways. This leaves you with 12 half eggs. Scoop the cooked yolks out of the middle of each egg, and place them all together in a small bowl. Use the back of a spoon to smoosh all the egg yolks. Keep smooshing until they are well mashed and not too lumpy. Add all ingredients except your egg whites and paprika, and stir ingredients together until you have a smooth yellow filling for your eggs. Basicall all you do at this point is fill the holes in the whites with yolk mixture. You can just spoon it in, or you can cut the tip out of a ziplock back and fill the back with yolk to “pipe” the yolk mixture into the egg. You could even place a star shaped piping tip in the bag if you are super fancy. I usually just spoon them in if I’m making a small batch, and I’ll do the “hole in a bag” piping for larger batches. It just seems to be neater and easier. I rarely use a piping tip, but if you’re doing this for some fancy occassion, go for it! Sprinkle the tops of your finished eggs with paprika.